Welcome to Wrexham Town.com, here you will find useful information on, Where to stay, Where to eat, Where to drink, Where to Visit, Photos & links to Wrexham & the surround area. 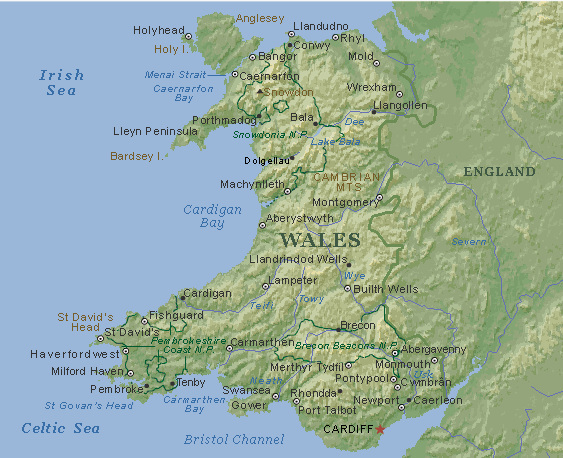 Legendary group UP40 are heading for North Wales. St Davids Day Coffee Morning raising funds for Wales Air Ambulance, Sunday 1st March 2015 10am-4pm-Tesco Wrexham Community Room, located on the upper floor of the store. £1.25 tea/coffee & biscuits. 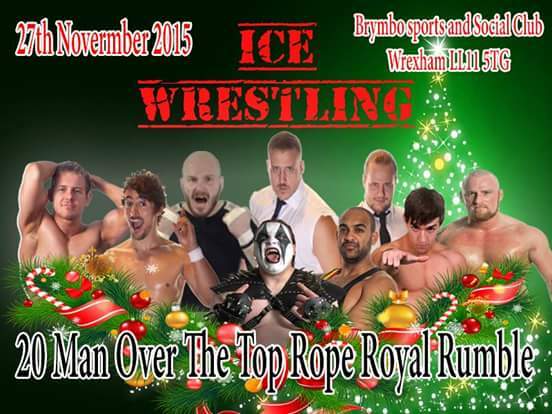 Free childrens activities and a raffle on the day. 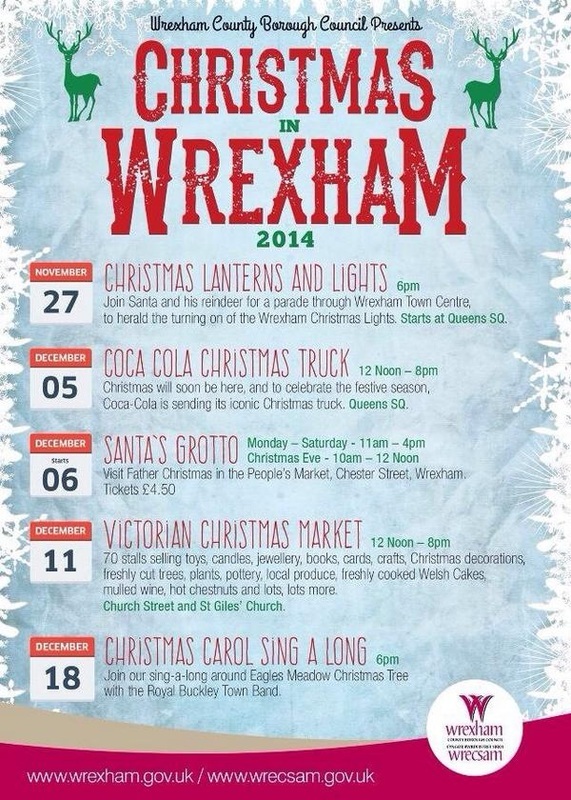 Wrexham Council have released the Christmas 2014 Program. It was fright night for student shoppers in Wrexham. Six zombies "invaded" the town's Eagles Meadow shopping centre to help launch a student event. Hundreds of students and horror fans enjoyed the spectacle as the living dead dropped in for a spot of late night shopping. The zombies were at the Student Take Over event courtesy of Brett Jones, 21, a second year theatre and performance student at Glyndwr University. 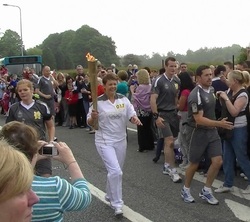 According to Brett, the event was a lot of fun and he was amazed at huge turn-out. A shopping centre is bracing itself for an invasion of zombies. The living dead will descend on Eagles Meadow, Wrexham as part of the Student Take Over discount event on Thursday, October 2 from 5pm to 8pm. Leading the zombie charge will be second year theatre and performance Glyndwr University student Brett Jones, 21 from Wrexham. Brett runs Psychotel in Chester, with friend and business partner Ollie Cook, 23. The terrifying hotel, where people pay for the privilege of being scared witless, is based in Ye Olde King's Head. The inn has featured on TV hit series Most Haunted. 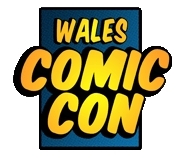 Comic Com returns to Wrexham Sunday 27th April. 2014 sees us bring a host of new names and fans will be lucky enough to hang out with and meet one of the stars from the hit tv show Smallville, plus Jonathan Ross, the cast from Red Dwarf, cast and crew from The Hobbit and Lord of the Rings movies & Many more. Click ﻿﻿Her﻿e ﻿﻿to find out more. 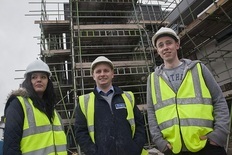 Construction students from Coleg Cambria have been given a taste of life on a real building site, courtesy of one of Wales’s top builders. A private hospital in Wrexham is one of the first in the UK to offer a new weight loss balloon that can be swallowed in a capsule. Unlike other gastric balloon treatments, Obalon does not require invasive surgery, according to experts at Spire Yale Hospital. 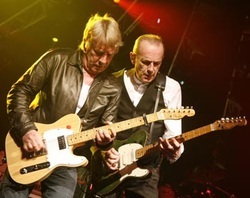 Legendary rockers Status Quo are heading for North Wales. The new £30 million link road to the Wrexham industrial estate one of the largest industrial Estate in the Europe employing over 7000 has finally opened ahead of schedule reducing the time getting onto the Estate dramatically. 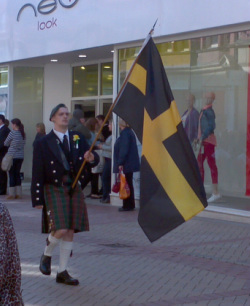 The annual parade to celebrate the Welsh patron saint is set to start at 1.30pm on the 1st of March from Eagles Meadow. 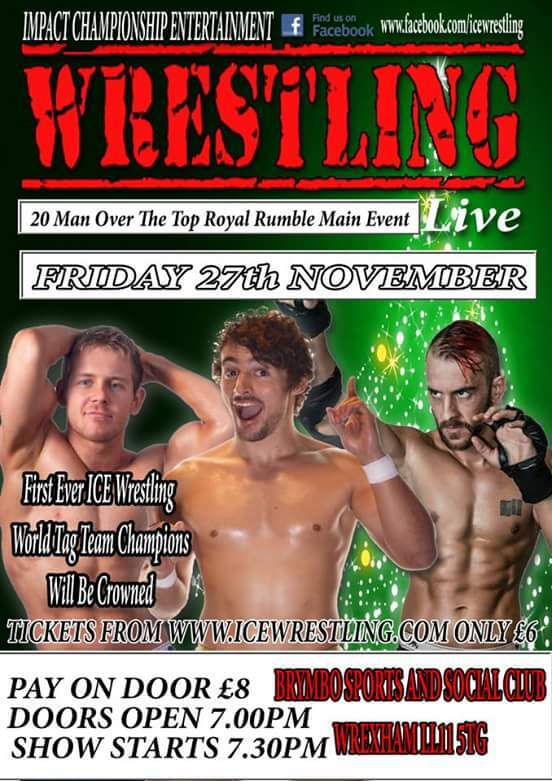 Click Here to Contact me with any new events or if you wish to appear on this site.